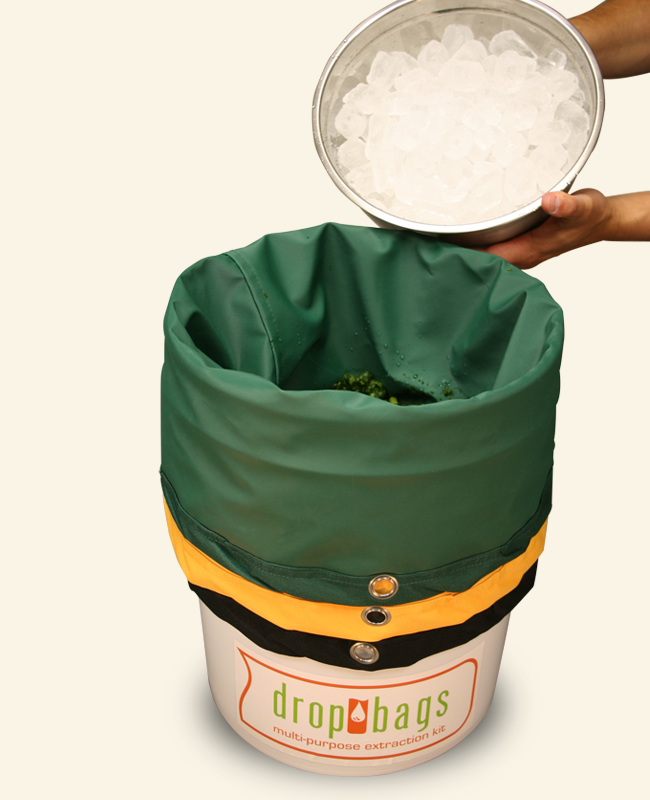 Insert each bag into one another, then place into a clean, empty bucket. 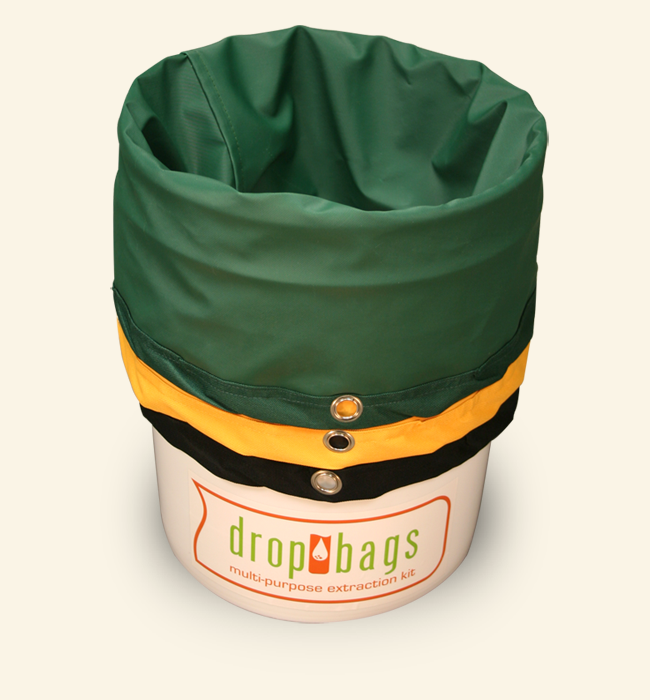 Fold the top portion of the bags over the top of the bucket to create a large opening at the top. 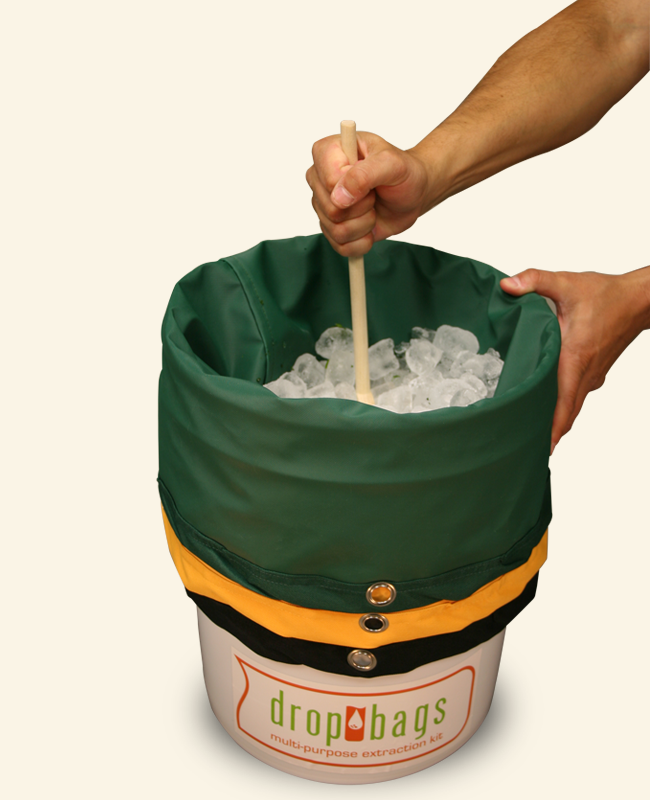 Add cold water to the empty Drop Bags until the bucket is half full. 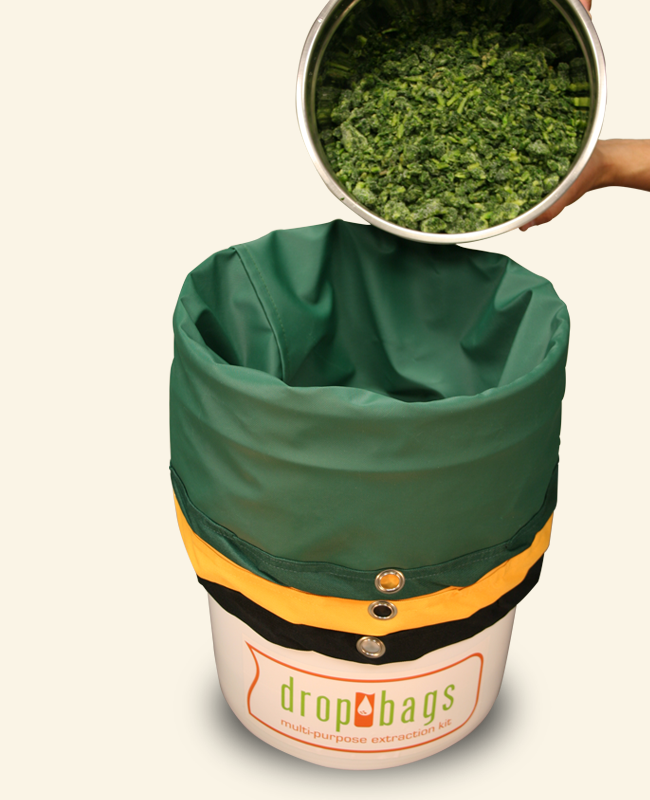 Start adding the plant material to the cold water inside of the Drop Bags. Make sure you spread the plant material evenly. Add ice to the plant and water mixture. You will need enough ice to completely cover the mixture. Mix your ingredients for at least 20 minutes for proper extraction. Use of a hand mixer is also suggested. 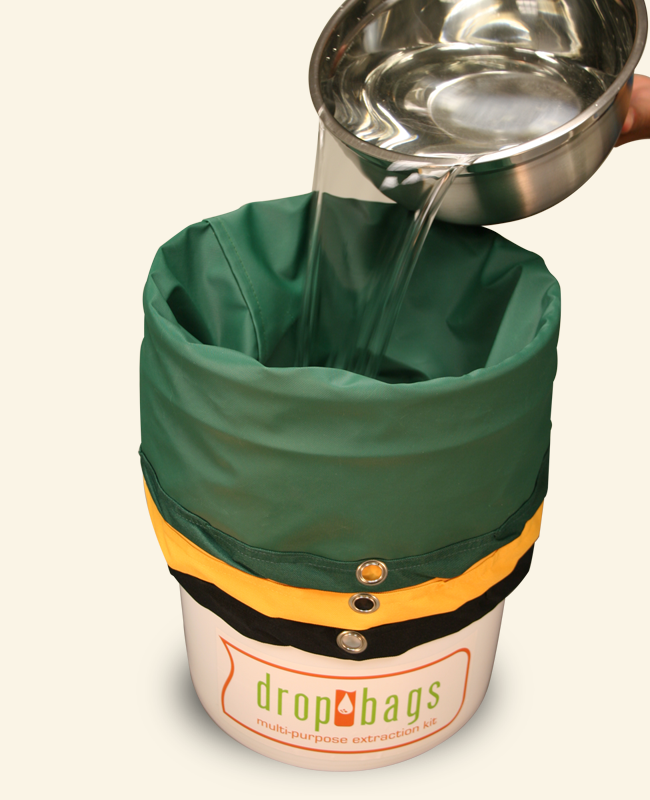 Carefully remove each Drop Bag individually. 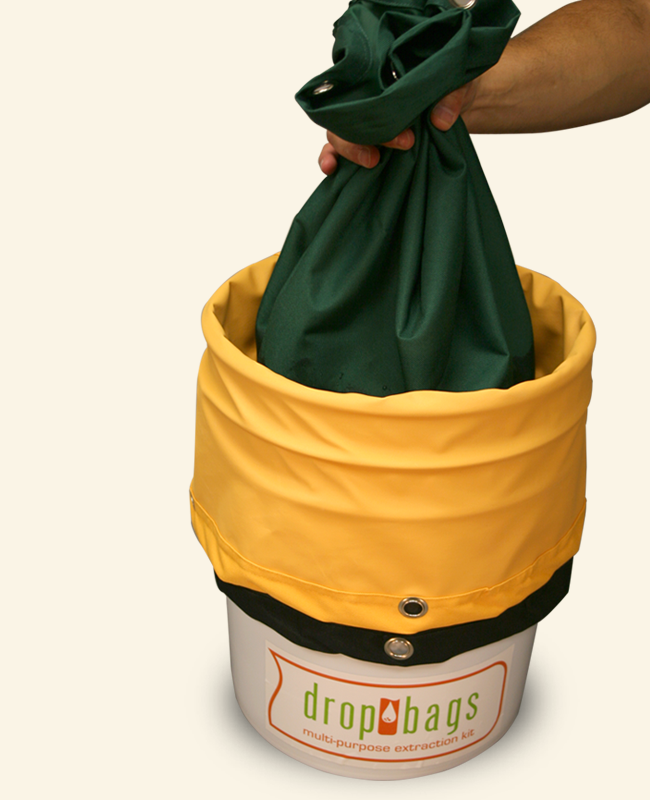 As you pull a Drop Bag out of the bucket, let the water drain thoroughly.